Thank you to artist Ricardo Gamboa for granting us permission to publish his Facebook post. A while back my close friend and collaborator forwarded an e-mail to me. We were invited to participate in a project of the Museum of Contemporary Art (MCA). Working with the likes of the MCA becomes low-priority for me in my efforts to create work that reaches real people in the real places of our city. So, only today was I able to review the invite and the project. After reading about the project, I find myself simultaneously wanting to scream out of anger and ready to breakdown in despair. I am left frustrated and wondering if people like me, like my family, or our communities can ever really speak for ourselves. Does our voice ever get to matter? Now, in this city, with a mayor hell-bent on dismantling our communities, we know the short answer is no. But, it’s not just in this city politics but also in this city’s arts and cultural production that we are devalued, disappeared, and displaced. Listen, at no point do I ever consider myself a voice of the people, but I am one of the people and as one of the brown bodies born and bred in this city, the project the MCA has in the works is something I need to address. According to their outline, the MCA plans to import these artists and their fancy international resumes to work with the cohort of equally fancy-resume-outfitted Chicago Latino artists. 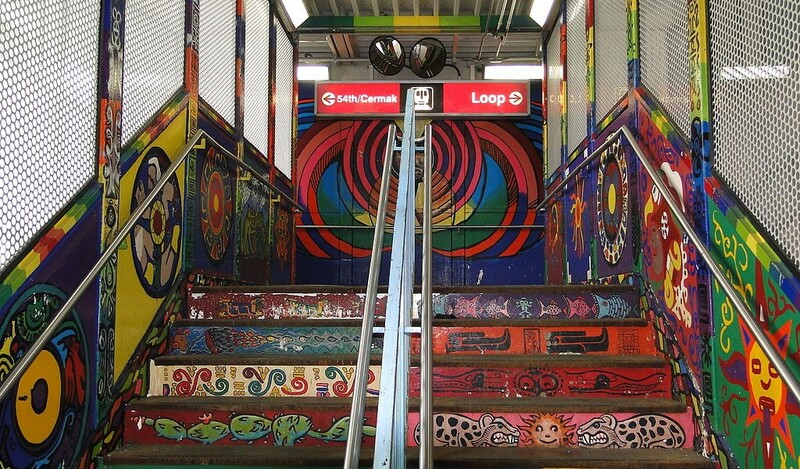 Then they will be “introduced to artists and other civic, social, and community-invested individuals, and visit the communities of La Villita, Pilsen, and Albany Park” to gain access to our communities and stories. In 2016, this bi-national team of super artists will participate in a “creative exchange” at the MCA to begin analyzing our stories. In 2017, they’ll use their personal stories and stories they gathered with the help of native informants to create and perform a show at the MCA (for, you know, whoever goes to the MCA) about Chicago’s Mexican-American community. If objectives like “mapping Chicago’s Mexican-American cultural history” and themes like the city’s “to-be written Chicano movement” (that presumably they’ll author) aren’t disturbing enough since they reference colonial activities and practices like charting lands for conquest or authoring the memory and destiny of populations, let me further break this down for you. Sure, all the artists working on this project are Latino and even a few of them are from here, but this project is not “of us.” If the MCA valued Chicago’s Mexican-Americans, our communities and lives, why not start there? Why not start with David Pintor, who built a backyard theater in Pilsen to serve up original episodic comedy-meets-performance art for the hood? Or why not start with Chicago Mexican-American natives like Irasema Gonzalez, Desiree Guzman, Diana Pando, Lily Be, or Miranda Gonzalez, who can write anyone with a creative writing or playwriting MFA under the table? Why not start with our mothers and fathers or the people on the block because they’re brilliant, creative and expressive. Their lives and stories shouldn’t need to be mediated by fancy international artists or credentialized transplant artists to matter. The most compelling artists I’ve met were not abroad or in New York, they were here in Chicago and on the blocks that I grew up on. Why presume that we suffer from a poverty of artistic ability and can’t be trusted with resources to tell our own stories? If the MCA really cared about our stories why not allow us to lead our own representation? Poor people and people of color are not considered artistically or culturally credible. They do not have the markers of distinction whether they be degrees or resume credits to be considered valued creators. They are only good because their marginalized existence gives mainstream arts and cultural institutions subject matter from which to derive their products. But, their reality must be mediated by credentialized artists. What they themselves make doesn’t matter. What they make only matters when it’s time to take because the institutions, the mainstream or the market desire a sense of novelty and authenticity. This idea of bringing artists into our communities that are not a part of them to engage us in our own representation while their authority goes unquestioned is not art-making, it’s anthropology and mirrors the practices of white European ethnographers researching and reporting on indigenous peoples. Only this time such a practice is simultaneously obscured and legitimized by the brown-on-brown organization of it. As a person who grew up in this city’s Mexican communities, down California and Kedzie from Cermak to 115th, I can tell you: we’re not primitives that need your civilization. THE REAL PROBLEM IS EVERY DOLLAR THAT THE MCA GETS FOR THIS PROJECT IS A DOLLAR THAT COULD GO TOWARD FUNDING ARTS AND CULTURAL ORGANIZATIONS THAT HAVE EXISTENT AND REAL TIES TO THIS COMMUNITY, WHO HAVE BEEN DOING THIS WORK FOR YEARS, AND WHO HAVE BEEN FIGHTING FOR RESOURCES AND ARE OFTEN OVERLOOKED BECAUSE OF THE ESTEEM CONFERRED ONTO INSTITUTIONS LIKE THE MCA. This isn’t just how the game is played; this is structural classism and racism at work. This whole situation is resonant with the discourse and representation of Chicago’s “epidemic violence.” It seems that everyone can discuss the topic except those people that are living daily under the threat of violence. Rahm Emmanuel and other politicians, priests and police, Diane Sawyer and every other news reporter, Spike Lee and Steppenwolf can all talk about Chicago violence without ever letting those in the line of fire lead the conversation. Similarly, I guess Mexicans from the block can’t talk, our stories don’t matter, and our expression isn’t art unless and until it’s framed by a credentialized and exceptionalized brown body that maybe be well-meaning or maybe is all too desirous for mobility and success within the same institutions that exclude and marginalize the rest of us. Anyone that has ever heard me talk knows that I have oriented my performance and theater making work out of a sense of urgency. My parent grew up in Little Village and Pilsen and their high school yearbooks aren’t just filled with autographs and short notes from classmates, but also obituary clippings of their friends shot dead by cops, gangs, or in the Vietnam War. For so many of us, living in this city is a matter of life and death. My best friend’s dad spoke up against injustice in Mexicans hoods to make sure we were seen and heard and was shot dead in his kitchen. For some of us stages are a space where we can challenge our circumstances and imagine new worlds safe from control and violence. Growing up, I watched my parents, aunts, uncles, and their friends drink until sunrise while rancheras and Motown played and they’d tell the same stories… over… and… over. I realized that they tell these stories because if they don’t, who will? Telling these stories is their way to keep from being erased. However, this project from the MCA that pretends to be a favor, a public good or service to our community, is actually an act of erasure and violence.